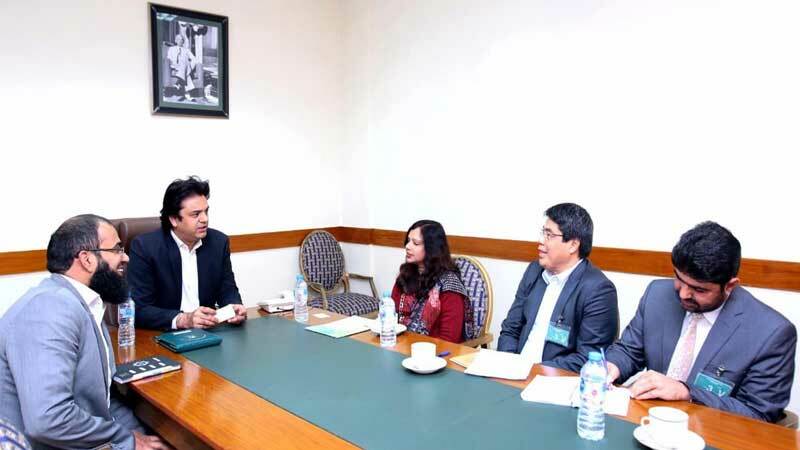 Prime Minister’s Special Assistant on Youth Affairs, Muhammad Usman Dar, on Monday, called on Federal Minister for Education and Professional Training, Shafqat Mahmood, to deliberate upon the initiatives of Skills Development and Startup Pakistan. These projects aim to address the need to impart core skills in youth while developing an entrepreneurship culture. The Skills Development programme would help as many as 150,000 prospective trainees receive technical and vocational training in demand-driven trades over a period of next two years. The training sessions would be divided into two groups: one that focuses on high-end labour sectors, while the other would target conventional vocational training in underprivileged areas, including Balochistan and FATA, to ensure at least 75 per cent employability of the trained youth. Under Startup Pakistan initiative, one million youth from universities across the country as well as 300 accredited Technical and Vocational Education and Training (TVET) institutes would be targeted to create a national ecosystem for entrepreneurship incubation. This would, in turn, establish a self-sustaining network of startups to act as a driving engine for the economy. Besides this, Dar also briefed the minister on soon-to-be-launched National Youth Employment Exchange initiative under Prime Minister’s Youth Programme. Plans were also discussed with reference to a mobile application for skilled workers. This app would improve the employability of the trained workforce by connecting them with prospective employers through smartphones. Both agreed to carry on coordinated efforts to ensure effective training and entrepreneurship development to build upon the employability of Pakistani youth, both in the local and international markets.